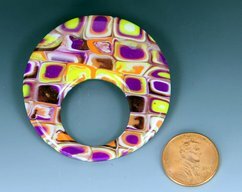 This handmade brooch is an unusual and unique piece of jewelry. 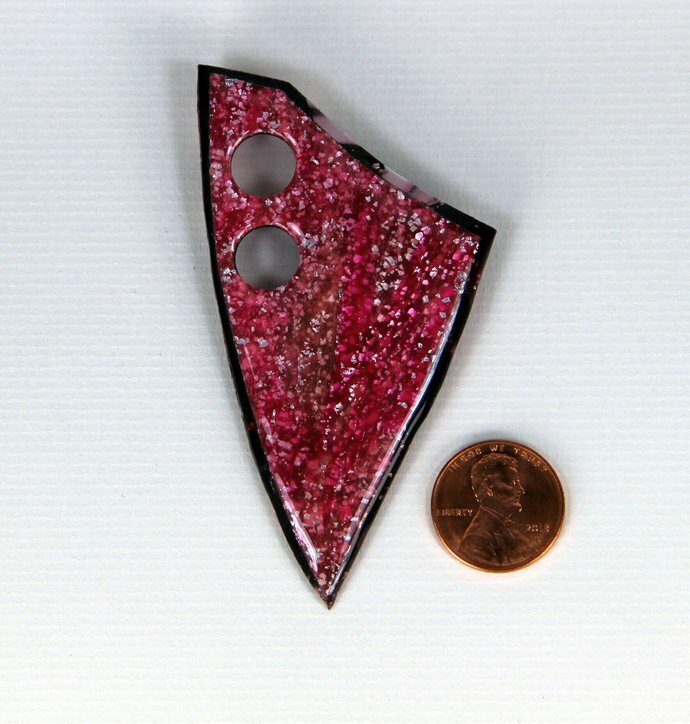 Super strong magnets (2) secure the brooch to your clothing without making pin-holes. One magnet is permanently attached to the brooch's backside and a second one attaches to the first from inside your clothing. 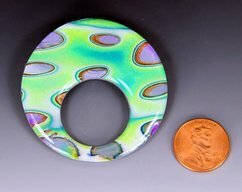 Made from sturdy polymer clay, with multiple coats of hard glass-like epoxy resin. 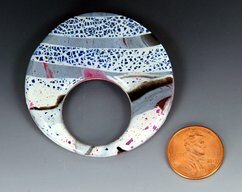 Measures about 1.6" x 3.1". 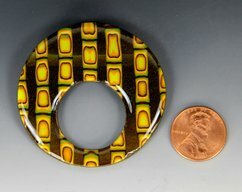 Front and back photos shown are of the actual brooch you will receive.